I still remember the first time I had a 'Bombay Sandwich'. 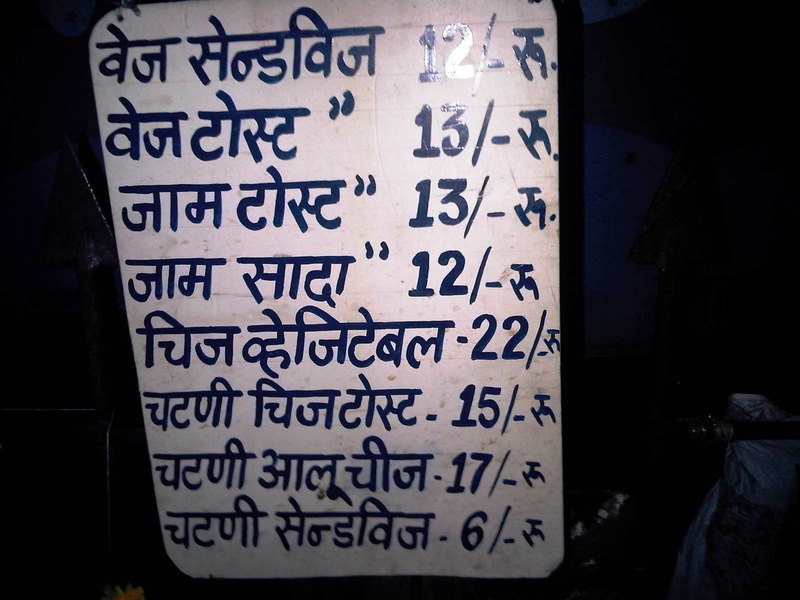 It was outside Eros Cinema at Churchgate. '96-'97. One of my first trips to Mumbai. A man grilling a sandwich with the same type of toaster that my grandmom used. Except that his sandwich seemed like a whopper. Enough to fill the stomach of a hungry young man. Swirling inside your mouth. Simple yet seductive. My first encounter with the Bombay sandwich. Then there was the sandwichwallah outside Nirmal at Nariman Point. I often used to pick a cheese chili grilled toast on my work. Uncle's sandwichwallah at Carter Road. Mute and deaf. Uncle would have sandwiches ready for K and me as we ran up like little children to him. We went and had a sandwich there on the first anniversary of Uncle's death. And now the sandwichwallah outside Laxmi Building at Fort. I stop there for a snack before the long drive home on days when I don't go to Swagath. I got talking to the him the other day. His name is Dipu Bharadwaj. He is from Moradabad at UP. 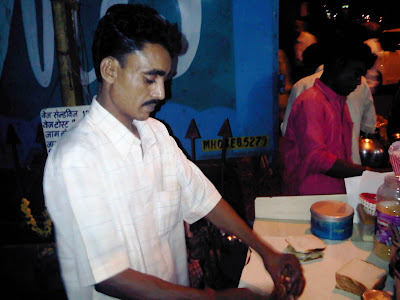 He has been making sandwiches for the officewallahs of Fort for around fifteen years. You could have knocked me down with a feather when he said "thirty nine". I thought that this thin wiry man would be in his late twenties. He deftly assembled our sandwiches. Vegetable without cucumbers for me. Grilled cucumbers don't work for me. So tomatoes, boiled potatoes, beetroot, onions, green chutney, loads of butter. There was a lady beside me placing her order. She wanted a 'cheese' veg grilled sandwich. 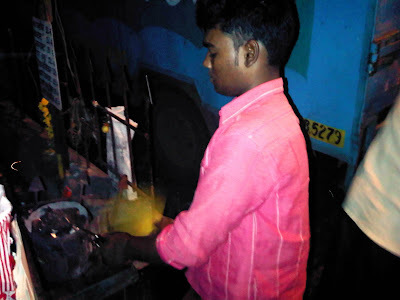 Soon Dipoo fountained out streams of cheese through his grater. He was intrigued about the photos that I was taking with my Blackberry. He remembered me as the man from Laxmi Building even though I had come to him only twice before. I told him that I wrote about people at Fort including Swagath, the vada pao guy and the jalebiwallah. 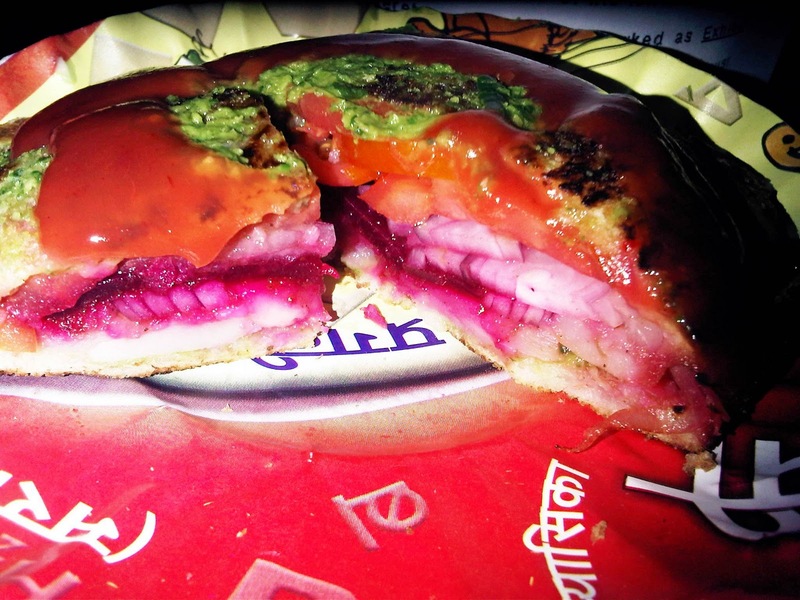 He wanted to know how his sandwich compared with the jalebis and vada paos. Which was the best? 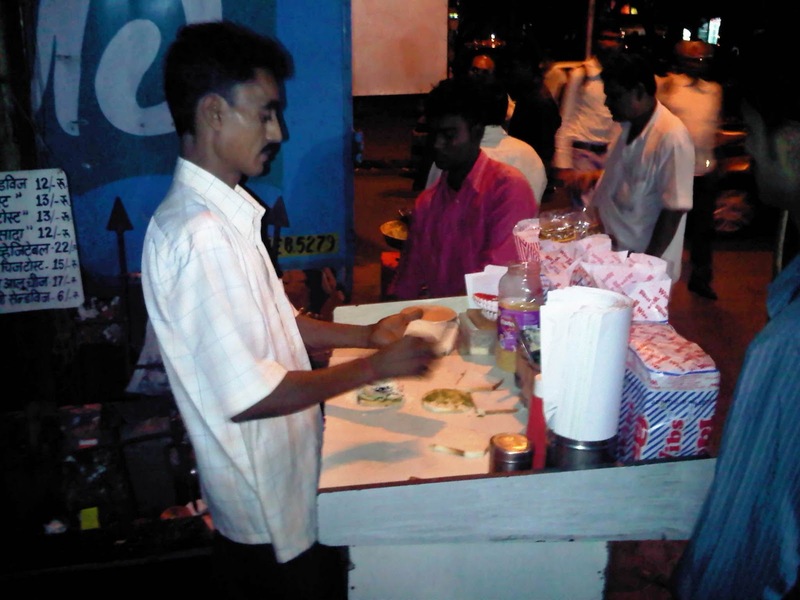 I said that one couldn't compare them but that his sandwiches where better than the ones made by the guys at Bandra. He smiled. The smile became larger when the lady standing beside me said that Dipu's sandwiches were better than those made by the guy who stood by her office. There was a certain calm and maturity in Dipu's voice when he spoke. He told me that he was missing yesterday as the Police Vans had come to remove the hawkers. No anguish or anger, he said this in a matter of fact manner. 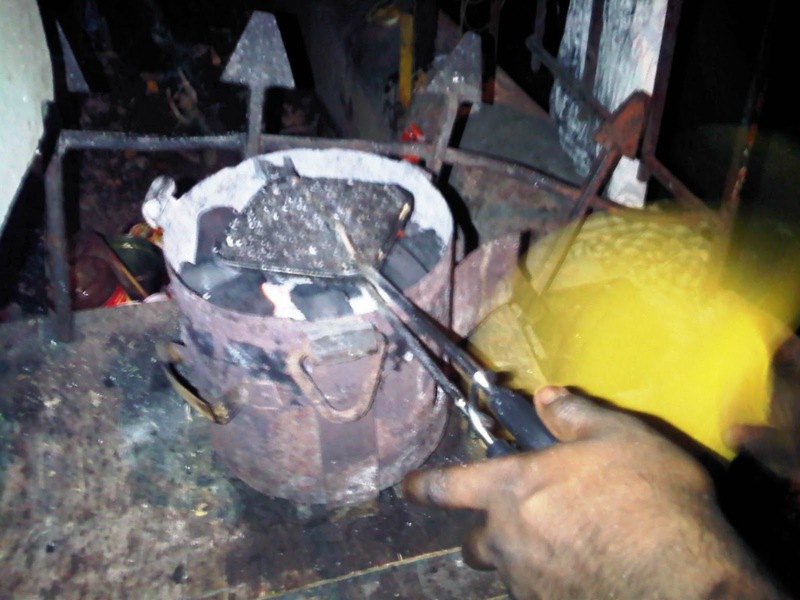 He suddenly looked at his apprentice who was fanning the coal stove on which the sandwich grilled. "Do not open the grill so often. The steam will go away. Wait for a few minutes and then open and turn it around. Then keep it closed for a while". Life's lessons sagely shared with the next generation. My sandwich was ready. He put it on a plate. Cut it expertly into cubes. 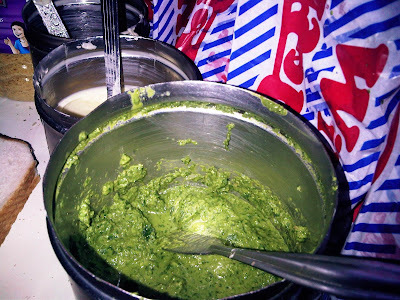 Asked me and then added a layer of butter, red sauce (ketchup allegedly) and green chutney on it. On asking he told me that the green chutney is a mix of coriander and mint leaves, green chillies, copra (grated coconut). I took a bite. The initial sensation was of searing heat. You smiled happily as your mouth burnt. It looked too tempting to be patient. 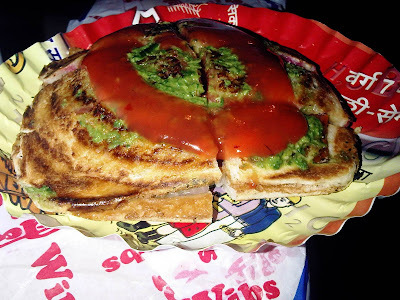 And then the juicy ecstatic ride of puritanical boiled potatoes, tangy tomatoes, caramelised sweet onions, the salt and spice of the green chutney and luscious sinful butter rolling in tandem with the sweet red sauce...a taste experience which is unparalleled by the modern electronic grill sandwich makers or even expensive sandwiches with international meats and cheeses. 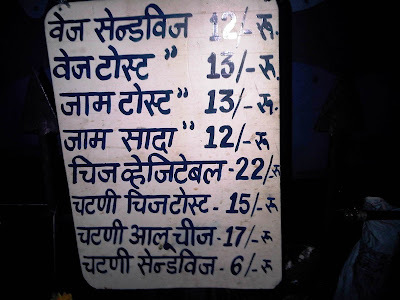 At Rs 14, (0.75 USD) the Bombay Sandwich is a rare treat in today's inflationary world. A delight in its absolute sense. As I ate, Dipu looked at a woman standing by us. A dark, thin woman in a sari with a little kid. "What will you have?" She was a beggar. Yes, we hate Slumdog Millionaire, but the begging menace and using children for the same is a stark reality of the city. "Sorry. No money." Said Dipu. He started making another sandwich. He didn't toast this. Stuffed it with vegetables. 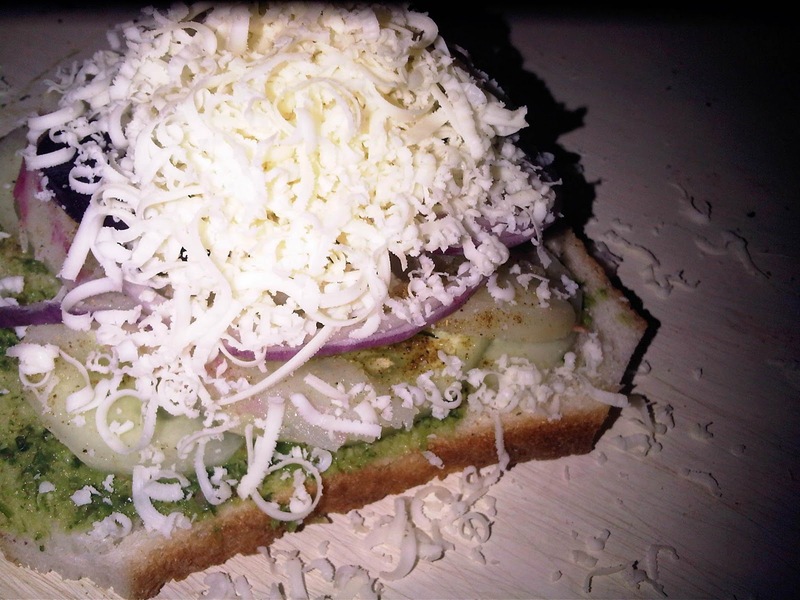 A plain or 'sada' sandwich. Wrapped it properly. Turned to the woman with the baby. Gave her the sandwich. The young, fairly fit woman walked of sullenly with the sandwich. She looked angry. Big hearted Dipu had disappointed her with his generosity. Your post brought back memories. There is a sandwich wallah outside Benzer showroom on Bhulabai Desai Rd. Its one of the best sandwich places. Kalyan you are great to bring such lovely pictures to us ..all I would say is.. I believed the sandwich was one of the simplest things to prepare. 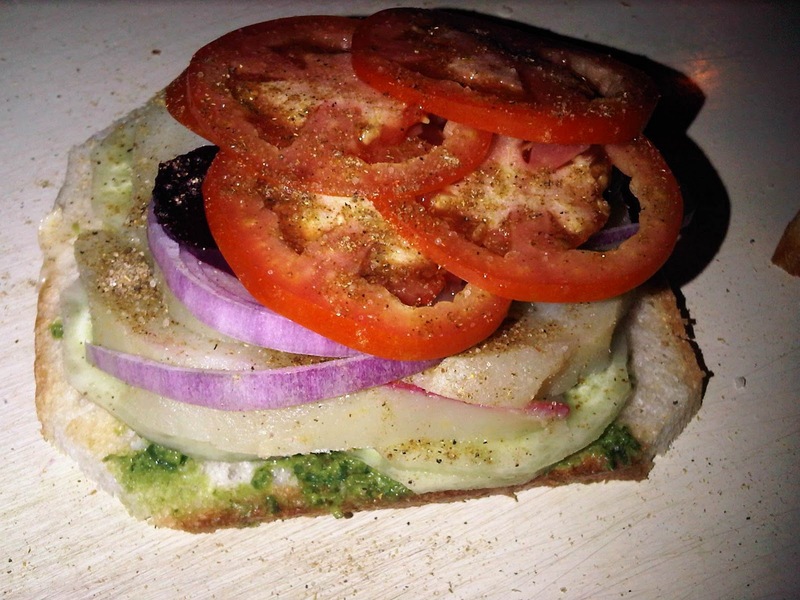 The sandwiches I had were always home-made with veggie slices between bread slices, with a chunk of butter on top. But when I actually started having them at stalls, I was pleasantly surprised to see so much variety. 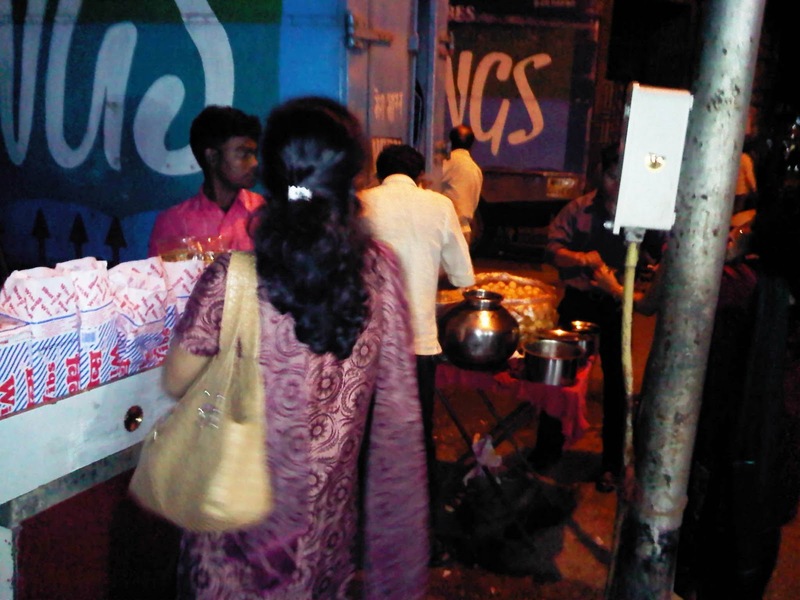 Very sadly I was introduced to Bombay sandwiches much later in life.. just outside Chitra theatre at Lower Parel. And post that I have had it only twice.. we shifted to Blore! It is the best evening snack... not heavy, not light.. amazing stuff to eat at 5. Usually, the minute I eat anything in the evening, I end up skipping dinner!! Though I wish, I had more exposure to these in the 2 yrs I was in Mumbai. Just Super... Makes me realise how much I hate working in the Westin. How wonderful to walk out and wander through these miraculous food joints. Its a beautiful post. Im sure if you could translate it for Dipu, he would be thrilled. I want a sandwich now. Jaihind college days- I had a sandwich almost everyday. What miracles. What a wellwritten piece!! This is gonna be nostalgic for some many people! A couple of suggestions. Change the template to something fun and foodie instead of this boring, default Blogger template. And try to incorporate the 'Read more' button. It saves the readers the hassle of scrolling down endlessly. I love Bombay sandwiches though I didn't have them as frequently as I should have! My favorite was the spicy potato sandwich & that smearing of butter, ketchup & green chutney on top makes the sandwich absolutely delicious! @Harman, thanks so much and thanks for encouraging me with every post> makes it worth it. @K remember our cheese chilis at Ulka? Thats an insightful blog you've got.